The Training Network (TTN) in conjunction with Brighter Futures Australia have successfully ran a program that saw more of our unemployed jobseekers return to work sooner. We gave the clients a purpose and direction to resume work in difficult times by reducing their roadblocks and training them with new skills. Along with other programs this works well with our experienced trainers who improve the jobseekers skills in key areas: Resume Writing, Dressing for Success, and Securing Job Interviews. Once we have the participants job ready we work with them over a period of weeks to guide, motivate and teach them to be proactive in finding their employer of choice. This program has successfully been implemented from regional and rural areas over the past year returning greater than 65% back into the work force. Agree this is a great result? Do you want to see more employed? From the government to the majority of Jobseekers who want to gain employment, they utilise Jobseeker Agencies and Disability Employment Services to be able to return to work and to feel the pride in being successful. "The definition of Insanity is when you do the same thing day in and day out and expect a different result "
Employment consultants feel and experience the pain and frustration of doing all they can to ensure they meet their KPI'S and meet the moral obligation to their clients. They know there are a select few Jobseekers that don't want to work, however would love to find work for those that do. 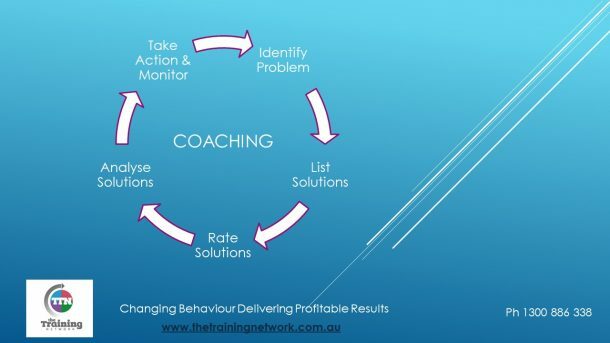 TTN has the expertise in Sales and Management in obtaining results and now will share with your organisation as to how your Employment consultant can make a difference to Jobseekers and their respective employers. The program runs for a day followed by a half day refresher at regular intervals. This assists with keeping your staff focused and achieving the best outcomes for all parties.